A resolution urging Los Rios Police Department to add more police on campus caused a passionate discussion about preventing mass shootings on campus at Thursday’s American River College Associated Student Body Student Senate meeting. Senate urged the LRPD station to place a minimum of at least one officer within the library, Davies Hall and the Student Center during the hours of operation for each respective building. 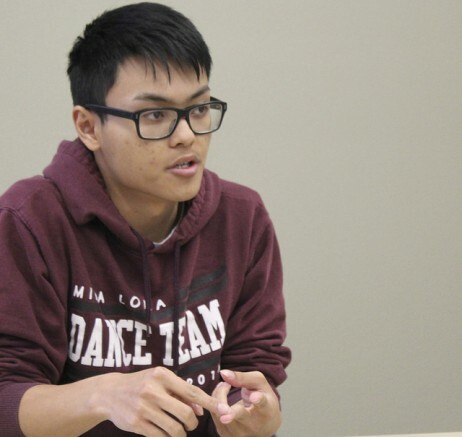 Mass shootings have increased within the U.S., thus posing an increasing risk to student safety at ARC, according to the resolution authored by Director of Activities Kevin Phan. CAEB President Justin Nicholson disagreed with the resolution’s viability. “This just seems like something we cannot achieve,” Nicholson said. Phan explained that this is just the way to tell the administration what the students want, not how to do it. Sen. Kevin Jenco sided with Nicholson. Parliamentarian Lorenzo Cuesta clarified what passing this resolution would achieve. “Take care of it, that’s all you’re saying. Never mind anything else,” Cuesta said. The resolution has yet to be voted on. The Club Day Survey report was also discussed at the meeting. The report found that most students who took the survey saw the college experience, overpriced books and services offered as areas where ARC could improve. In the interest of better understanding the needs of students, an Ad-hoc committee was formed that will conduct more thorough surveys of similar nature. Jenco was appointed chair of the student needs Ad-hoc committee. Be the first to comment on "Senate debates whether more police are needed on campus at meeting"